After a magnificent evening a few weeks ago at Kin Kin Thai Eatery‘s inaugural degustation dinner Adelaide Food Central headed back this week for a look at the new menu. 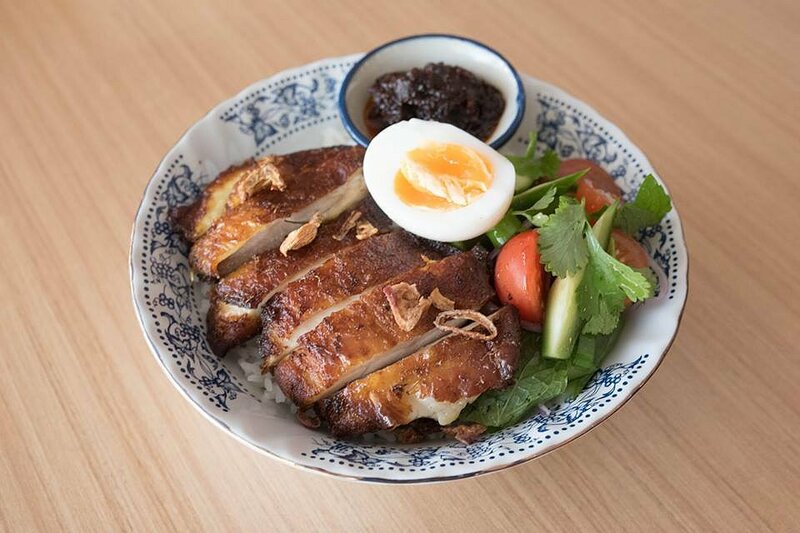 Maintaining their authentic high quality meals, with no MSG or food additives and using only house made pastes and sauces, the new additions to their menu are perfect for any time of day. No Thai meal is complete without starting with a selection of appetizers. We make the decision to stay away from the traditional wontons and spring rolls and go for something a little different. 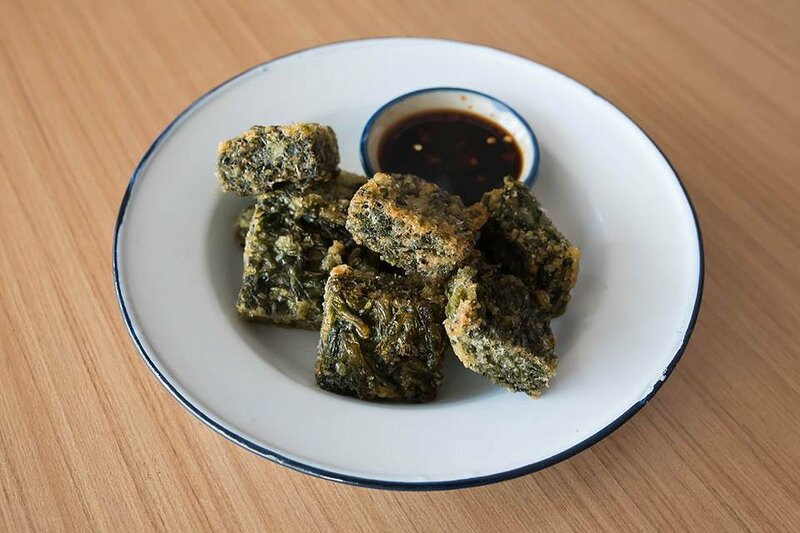 First we try the Gui Chai – deep fried garlic chive cake served with spicy sweet soy sauce. Straight away we have a winner that we both thoroughly enjoyed. Tasty and fragrant cubes of cake, packed full of chives were lightly fried to create a thin golden, bubbly crust. The crispy outside gave away to a slippery centre once bitten, which was a textural delight. The taste was amazing too. Not to be outdone the Thai Wafer was also a delicious unique starter. Not quite a spring roll, not a cold roll either. 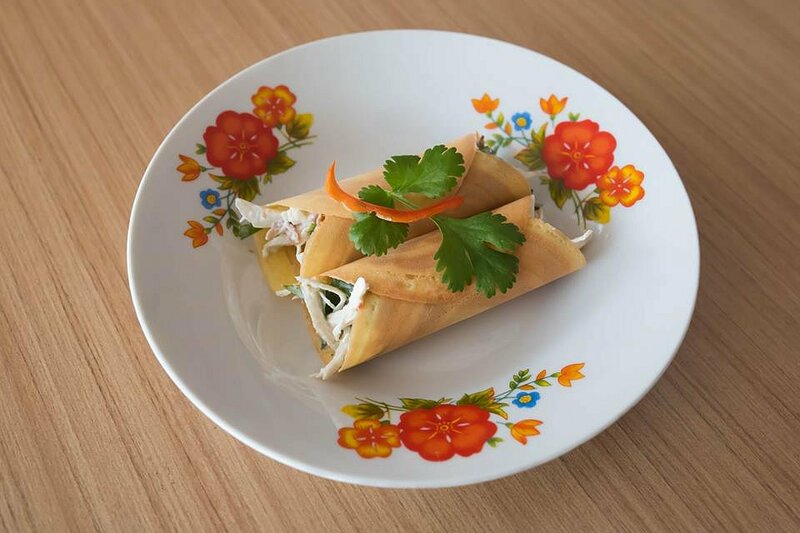 A crisp wafer, reminiscent of a crepe, encased shredded chicken and herbs bound by a coconut cream sauce. The dominant flavours of coconut and mint complemented the chicken to produce a light but tasty starter. 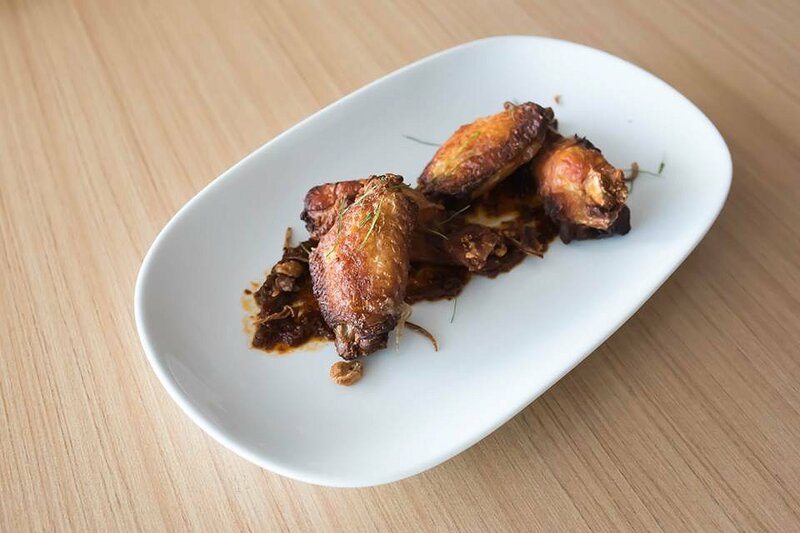 We ordered the Gai Tord – deep fried marinated chicken wings, simply to accommodate my penchant for wings. The outside is crispy from the fryer and the inside nice and moist. Kin Kin steers clear of the trap of making them overly sweet, these ones full of rich chilli flavour with a fresh lemongrass and kaffir lime tang. Noodles, we are told on ordering are a popular choice for lunch in Thailand because they are fast to prepare and eat. Kin Kin have added 3 new noodles dishes to their lunch menu that already features favourites like Pad Thai and Pad Si Ew. 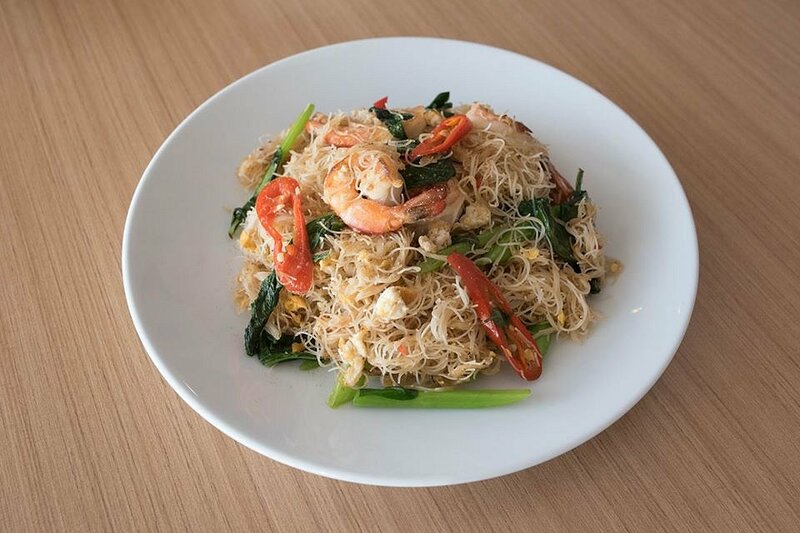 Pad Sen Mhee is boasts subtle Asian flavours of garlic and Thai basil, with egg and Chinese broccoli in its tangle of vermicelli noodles. We had ours with large prawns, but chicken is also available. 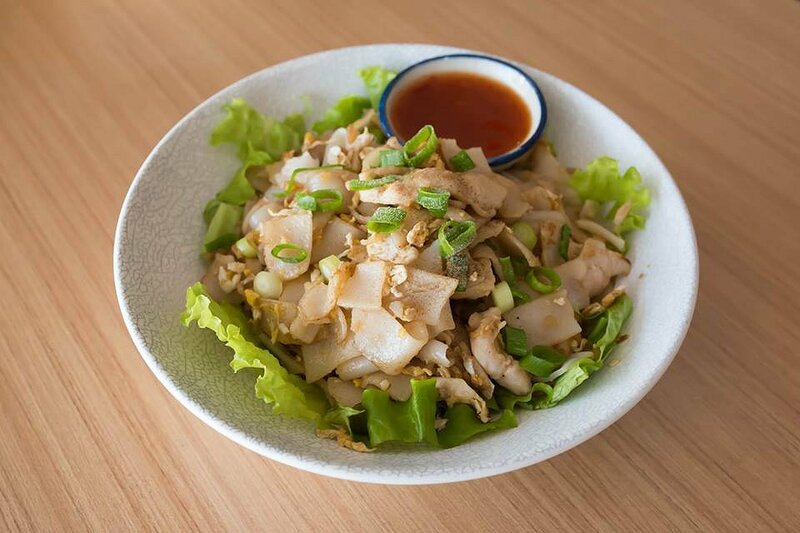 In the Kuay Tiew Kua Gai, flat rice noodles are served with a generous dusting of white pepper and spring onions. Egg and chicken make up the protein component and the noodles are presented on a bed of Chinese lettuce. Personally I missed the rich flavours that come with dark soy in the Pad Si Ew that I know and love, so this is a good alternative for those who prefer a lighter style dish. Kuay Tiew Neua Toon is a Thai take on a Vietnamese pho. Tender cubes of beef brisket and beef meatballs sit atop a nest of thin rice noodles, that swim in a rich and aromatic five spice beef broth. 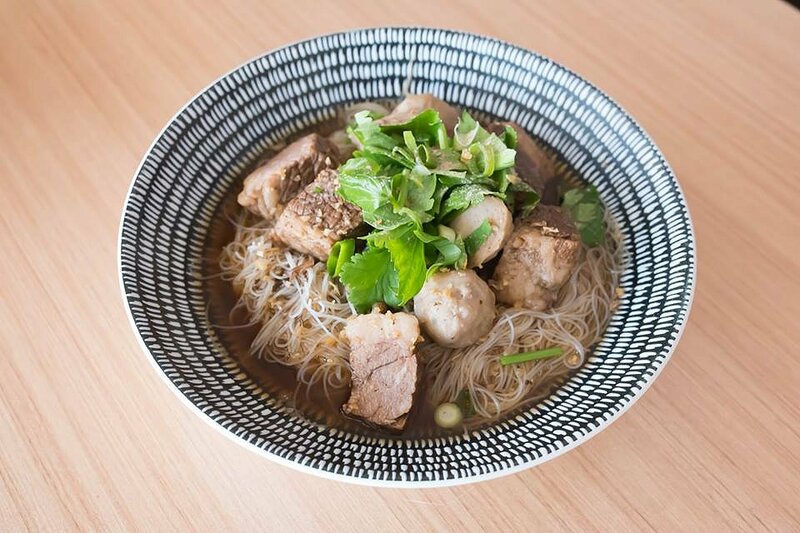 The broth is complex and deep in flavour, rich meaty notes and star anise dominate the palate. We finish our meal with a couple of rice dishes. 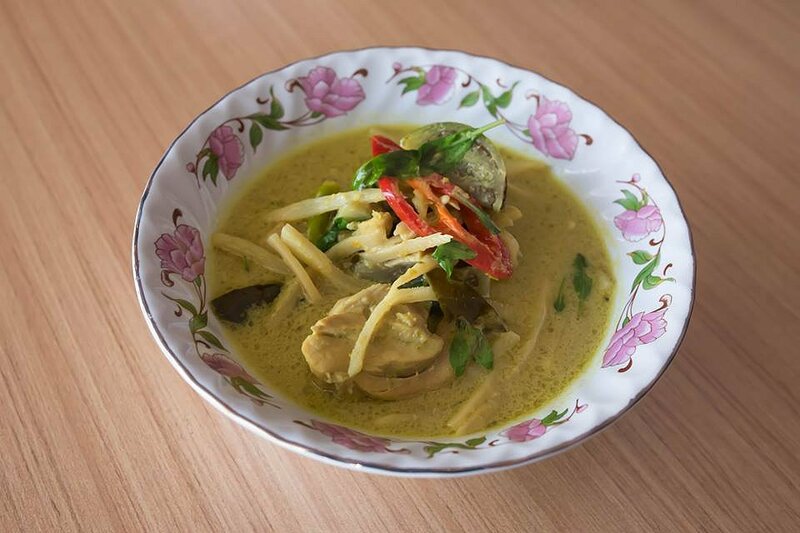 Kaeng Kew Wan is your tradition green chicken curry. It’s served vibrantly green and very saucy here, tender chicken, a few quarters of baby eggplant and slivers of bamboo making up the dish. The house made curry paste shows off the chefs ability to deliver that hard to achieve balance of salty, sweet, hot and sour. An all round pleasing curry dish. In the Khao Gai Tord we admire the deep golden skin on the chicken breast. Marinated in turmeric the deep yellow spice presents on appearance as well as in taste. The succulent chicken is paired with a chilli jam, cucumber salad and steamed jasmine rice. The colour and taste of the jam tells that the chillies have been roasted to bring out their deep, rich flavours. Combined with a heavy dollop of shrimp paste, the jam possesses only a light, bright heat that contrasts with its flavour intensity. At Adelaide Food Central we are delighted to have experienced our second delightful meal in a matter of weeks. The authentic food is guaranteed to please but it is the exceptionally friendly and eager to please staff that makes me want to keep going back to Kin Kin Thai Eatery.